Lindsay A. Franklin has created a devotional specifically for young women (I would recommend for high school and college age audiences). 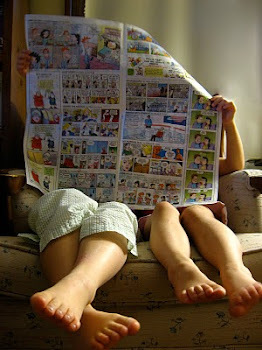 The book is a perfect size (5.25" x 7.5") for keeping on a nightstand or for carrying in a backpack. I love that the days are just labeled with a number, (e.g "Day 36" instead of a specific date). We've all started new devotionals and occasionally find that we've missed a day. With just days numbered, you can just pick up where you left off and not stress about whether the date matches the day you read it. Numbered days also makes it very easy to start the devotional at any point in a year. There is a bookmark sewn into the binding so you can easily mark keep track of your place. The cover itself is beautiful. The script title and the floral pattern (including foiling), is a very sweet and feminine look that is pretty enough to leave out on display, and increases the likelihood of reading it daily. Franklin includes selections that focus on various women in the Bible and how they can serve as an example to young women today. Each page has a Bible verse and a short devotional providing some insight into that character and encouraging girls to see how much God loves them and how He wants to transform them more into his image. Young women will find encouragement to reach out to others by showing compassion, learn to put others before themselves, find forgiveness when they fail, and serve others where they can. I love that there is room at the bottom for journaling--lines are provided where the reader can comment on what they have learned or make a note of something they would like to apply in their life. It would be interesting to compare thoughts from one year to another when going through the devotional again. Christmas is a great time to gift this beautiful book to a young woman in your life. At a time when so many make resolutions for the new year, what better goal than to daily be in God's word! It would also make a lovely gift for Easter, birthday or even graduation. 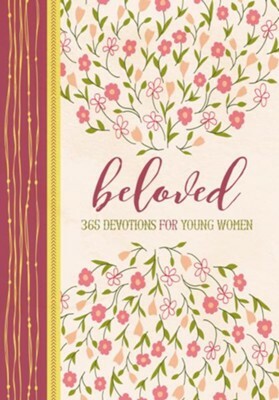 In a world with so much stress and pressure, this devotional can help young women understand how beloved they are to their heavenly Father. Disclaimer: I received a free copy of Beloved from Handlebar Publishing for the purpose of review. No other compensation was received.